Sensing I was a fellow physiology geek with his science-spidey sense, he proceeded to fill me in on a fascinating paper entitled “The Potential Impact of Various Physiological Mechanisms on Outcomes in TBI, mTBI, Concussion and PPCS.” He then went on to explain that this paper, which we'll discuss in today's podcast along with plenty of other neural fixing and neural enhancing topics, forms the basis of the care he provides for his chronic brain-based patients (not only concussion but anyone who struggles with movement, sight, focus, attention, or other brain-based issues.). We also discussed the work Steve does with professional and collegiate athletes and concussion with his colleague Ben Velazquez, and the work he's done with a guy named Guy Voyer over the past 20 years with ELDOA – a form of fascial stretching that I personally incorporate in my own training and my clients' protocols. He described his approach as a “neuro-chemical, neuro-immunological, neuro-mechanical approach”. So wh0 is this guy exactly? Dr. Steven G. Geanopulos, affectionately known as ‘Dr. G’, is a speaker, writer, and leader in the world of functional neurology / functional medicine and is quickly becoming one of America’s leading experts in lifelong, optimized living. His experience and clinical approach have proven that diminished health and vitality can be reclaimed by just about any proactive person at any age. Dr. G.’s principles of practice cover the 5 essential keys to resolving the underlying cause of health problems and performance concerns including; assessing the nervous system for interference, endocrine system, detoxification systems, nutrition and fitness. 3. Structural and functional integrity and optimization. These 3 areas of focus are intimately connected and require Dr. G’s unique expertise. 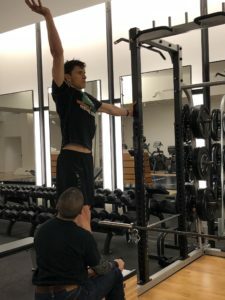 As a competitive athlete, Benjamin Velazquez realizes the value and potential that comes with a scientific sports program. As a Performance therapist, his goal is to bridge the gap between cutting-edge science and today's athlete. Ben's professional experience includes Managing Partner and Director of Human Performance of Sports Lab NYC LLC; President of Grey Matters Sports Group LLC. He designs programs and coaches his New York clientele that ranges from elite athlete to high profile celebrity. In addition to a B.S. 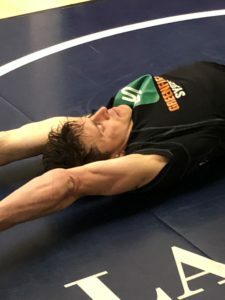 degree in Aeronautical Science, Ben holds several certifications, which include NCSA Certified Strength & Conditioning Specialist, Licensed Performance Soma- Therapist, ACSM Exercise Specialist, ISSA Sports performance Nutritionist, and many more. -The Women’s 2006 Track Team at the University of Texas. 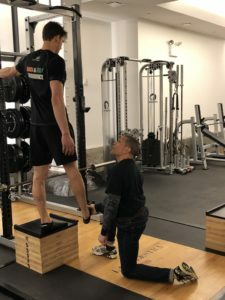 Ben has also worked with the Saskatoon Blades Hockey Team 1999-2000, the 2003 national champion New York Freedom Soccer Team as well as 5 Athletes at The Sydney 2000 Olympic Games. Ben has spent the last two years researching the use of corrective exercise in mitigating the risk factors of concussions in athletes. 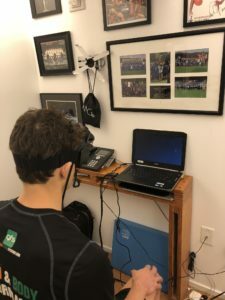 Along with his team at Grey Matters Sports Group, he has successfully worked with athletes from five different sports that were recovering from multiple concussions. He and his team have pioneered a five-tier method of rehabilitating the athlete that has suffered from concussive trauma. -How To Take Matters Into Your Own Hands & Navigate The Modern Medical System (Without Dying). –How To Rewire Your Brain For Better Sleep, Reset Your Brain’s Tolerance To Marijuana & Alcohol, Fly Spaceships With Your Mind & Much More. –42 Different Ways To Build A Better Brain, The Problem With Modern Smart Drugs, Hacking Your Neurons & More. –Ketosis Dangers: How To Maximize the Nutrient Density of a Low Carb Diet. –The Official Black Friday Gift List: 10 Effective, Easy & Cheap Biohacks For Everyone To Try. 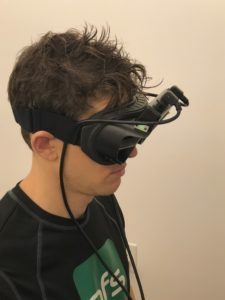 –The Ultimate Visual Biohack – How To Create Your Own Custom Set Of Vision, Performance and Sleep Enhancing Eyewear. –The Kion Clean Energy Bar The cleanest burning energy bar you'll ever eat, guaranteed! –Aaptiv An app that's like a personal trainer in your pocket. Sign up today and get an automatic membership for 30% off. – Trusii Molecular hydrogen water tablets. Enter code “ben” at checkout and you'll save 30% off your order! -Join Ben and Robyn Openshaw, aka the Green Smoothie Girl, for an immersive health retreat in the Swiss Alps next June! There are only a few spaces still available. Click here for more info. Do you have questions, thoughts or feedback for Ben, Steve or me? Leave your comments below and one of us will reply! Hi Ben! Super grateful for all your contributions. Do you have any recommendations or resources for learning Eldoa if we can’t find a local practioner? I appreciate your comments and your experience as a provider. I agree that enhancing neurological pathways with proprioceptive and ocular exercises has been around a long time. PT’s OT’s and the like have led the way with many of these interventions. However what I believe is new here, and certainly not being addressed by 3rd party reimbursement is the following. 1) The use of the ELDOA techniques in the context of neurological deficit due to brain injury. The use of proprioception with emphasis on fascia and CSF flow in addition to muscle and joint receptor physiology was pioneered by Dr. Guy Voyer and his disciples who has been working with professional athletes since the early 1980’s. No one in the US has worked more closely with Guy Voyer than Ben Velazquez and Dr. Mark Lindsay who have 25 years of experience and the best athletes in the world as their clients. Athletes who were otherwise unable to return to play with out a different approach. 2)What is also new is bringing the latest understanding in blood chemistry and immunology into the picture and seeing that persistent post concussion syndrome is an immunological disorder. “Klutzy kids” typically may not need all that we discussed in this podcast, but I can show you dozens of cases that have failed the traditional route. 3) Understanding the cascade of what happens neurochemically after concussion and how the body uses different energy systems to address this process. Metabolic flexibility is an effective protective and healing strategy for brain injury. Again, no one in 1996 was discussing these principles. Enhancing performance and reducing klutziness is effectively treated with the tools mentioned in your comments. We hoped in this podcast to communicate to those who are having more persistent challenges not typically responding to the first wave of interventions. Ben V. and I both would prefer listeners to the podcast looking to make some improvements in their performance or reduce their klutzy behavior to seek out local providers like your self or those mentioned in the podcast, before making plans to come to NYC. I hope that eases the discomfort in your “Craw” :) .